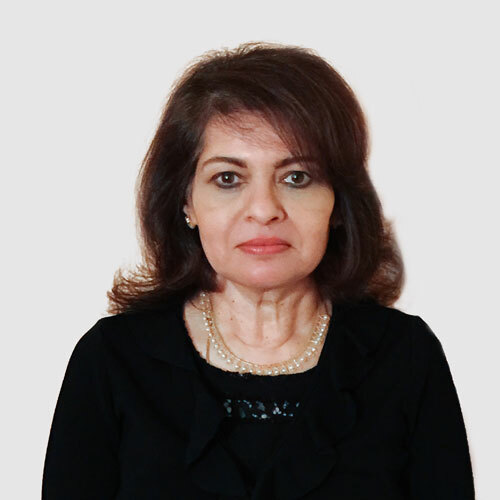 Erica Dhar is Director of Global Alliances with AARP’s Office of International Affairs. She has expertise working with the United Nations; advocating on issues of global aging, including the human rights of older persons; and on the sustainable development goals 2030 agenda. Erica manages the AARP Office of International Affairs in New York City, where she is responsible for relationships with international nonprofits, UN agencies and organizations dealing with aging, as well as international visitors. She spent 18 years in the broadcast and financial services industry. Erica received her bachelor’s degree with honors from Delhi University in India, a master’s degree in corporate political communication from Fairfield University in Connecticut, and a master’s degree from the New York University Gallatin School of Individualized Study. Erica’s thesis on transnational caregiving was published and picked up by the NY Times, see reference below. E. Dhar, “Transnational Caregiving: Part 1, Caring for Family Relations across Nations,” Care Management Journals 12, no. 2 (2011): 60–71. E. Dhar, “Transnational Caregiving: Part 2, Caring for Family Relations across Nations,” Care Management Journals 12, no. 3 (2011): 128–34.